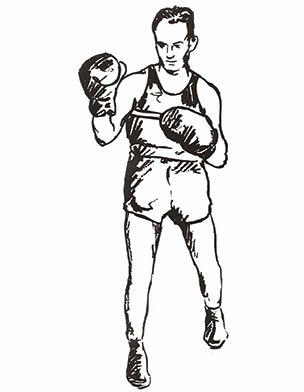 Benny Alperstein is honored as the best boxer who ever donned gloves at the University of Maryland. Between 1937 and 1939, Alperstein won NCAA lightweight, NCAA featherweight, Southern Conference featherweight, and Southern Conference lightweight championship titles. Captain of Maryland’s Boxing Team, Alperstein was selected Southern Conference outstanding boxer 1938-39, and NCAA outstanding boxer for 1938. In 1967, he was inducted into the State of Maryland Hall of Fame. Alperstein has served the athletic community extensively as Chairman of the District of Columbia’s Boxing Commission, member of the State Athletic Commission, and U.S. representative to the North American Boxing Commission.